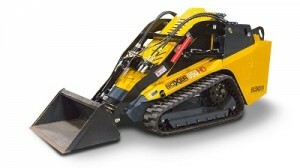 Boxer added the 950HD to its compact utility loader lineup. Designed with features typically found on full-size skid-steer models, the 950HD has a tip capacity of 2,734 pounds and 35 percent SAE rated operating capacity of 954 pounds. “We’re redefining customer expectations with our largest and most powerful mini skid-steer, designed to lift more, lift higher and reach further, to literally rise above the competition,” said Jason Showers, Boxer product manager. Additionally, the 950HD features a hinge pin height of 95.5 feet, and a 48-horsepower EPA Tier 4 Final diesel engine with Diesel Oxidation Catalyst. This model includes onboard diagnostic capabilities, multiple mode settings and two joystick operation patterns. The ride-on platform provides operators with increased attachment visibility, hip and thigh padding and 12-volt auxiliary power supply.